crepes are one of my favorite breakfast foods. somehow, they always seem so fancy (even when you are eating them on a lazy sunday morning while still in your pajamas). one of the things i love most about crepes is that they are so versatile. you can fill them with just about anything. 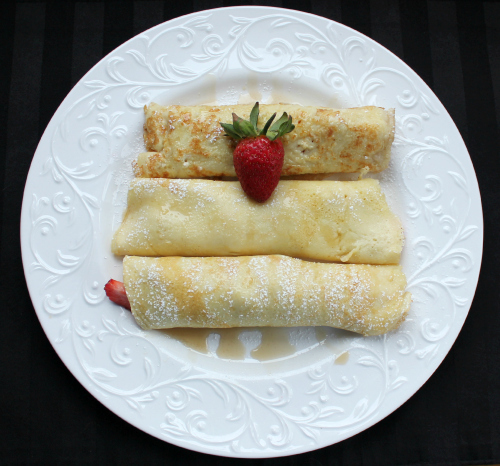 we happened to have fresh strawberries on hand this weekend, so we decided to fill our crepes with them. 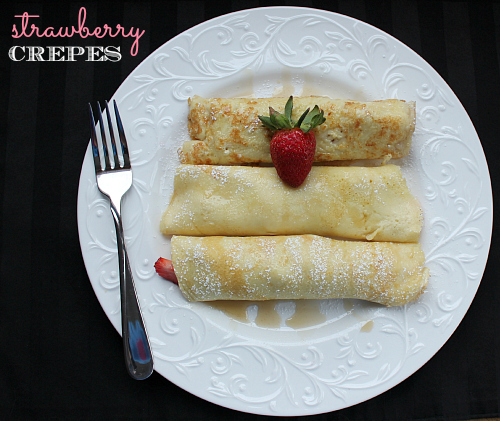 crepes are a wonderful alternative to pancakes since they are not as heavy as pancakes. they are easy to make, and just as easy to devour. we especially enjoy them drizzled with maple syrup and dusted with powdered sugar. yum! 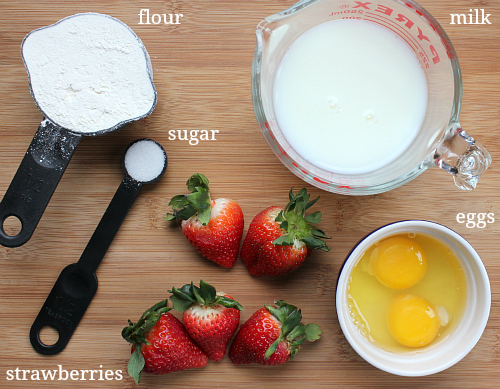 in a large bowl, combine the flour, sugar, milk, eggs, and vanilla. whisk well until no lumps remain. (the batter will be very thin and runny.) heat a small non-stick frying pan over low heat. grease the pan with butter and pour 5-6 tablespoons of the batter into the pan. allow the batter to cook until the edges begin to curl away from the sides of the pan (about 2 minutes). 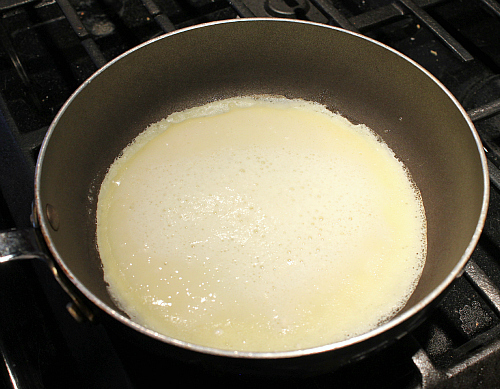 flip the crepe over and allow the other side to cook (about 1-2 minutes). be careful to not let the crepe burn. 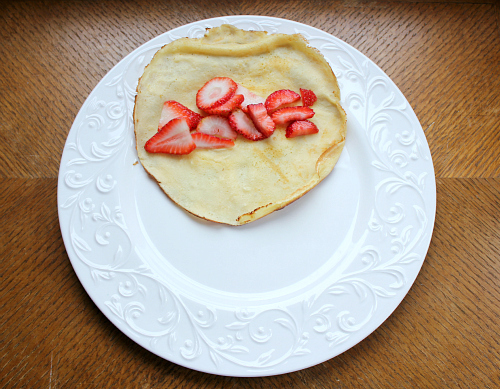 remove the crepe from the pan and place it on a plate. line the sliced strawberries in the middle of the crepe. starting from one end, roll the crepe. repeat with remaining batter. serve warm drizzled with maple syrup and dusted with powdered sugar. Oh, I forgot all about making crepes. We use to do that a lot. That sounds like a good idea, I do have strawberries in the refrig. These look yummy. The photos should be in a magazine! Laurie, I love how these are made with just a few simple fresh ingredients! :) Looks so yummy!